OSSI together with the world leaders in metabolic and bariatric surgery strives to educate, discuss and collaborate with fellow OSSIans. OSSICON has always been a festivity loaded with superb scientific programme that promises a unique opportunity for all those interested in obesity and metabolic surgery to share their experiences, expertise and knowledge and seek practical solutions in their search to eradicate and manage this epidemic. With an emphasis on integrated health and on surgical treatment strategies, participants can look forward to more postgraduate courses, multiple symposia and numerous oral, video and live operating sessions. OSSICON grew places since its first instalment in 2003 and is slated to be one of the great meetings in ASIA-PACIFIC region. The first annual of conference of OSSI, aptly christened “OSSICON” was held in March 2003 in Mumbai with Dr T E Udwadia, pioneer of MAS in India as the Organizing Chairman & Dr Shrihari Dhorepatil as the Organizing Secretary. OSSICON since then has become a regular annual national event on OSSIs calendar with other OSSICON venues being New Delhi (2004), Ahmedabad (2005), Pune (2006), Chennai (2007), Kolkata (2008), Hyderabad (2009), Jaipur (2010), Indore (2011), New Delhi (2012), Bangalore (2013), Ahmedabad (2014), Mumbai (2015), and Chandigarh (2016) and Goa (2017). OSSICON today facilitates a rare confluence of Indias best bariatric talent at one place. In 2012, OSSICON had the honour of organizing IFSOs world Congress in Delhi. OSSICON also had the privilege of conducting the prestigious IFSO-APC 2017 in Goa. OSSI 2018 will be the 16th edition of national bariatric surgery conference of Obesity and Metabolic Surgery Society of India to be conducted in Chennai, the cultural capital of India. This academic extravaganza is slated to be organised between 22 & 24 February2018 at ITC Grand Chola, the largest hotel property in India. OSSI 2018 has already been predicted to be the biggest event in the history of OSSI so far with pouring interest from all parts of the country and from international quarters as well. In short, OSSI 2018 will be one conference with hundreds of opportunities. Attendees will find a comprehensive agenda on obesity surgery, prevention, research, public policy and more. It also for the first time features Integrated conference and courses for Anaesthetists, Nutritionists & Nurses aimed at a comprehensive platform to bring all professionals involved in the surgical fight against obesity and metabolic syndromes. Regardless of your passion, you will find your niche in the numerous scientific sessions OSSI 2018 offers attendees. 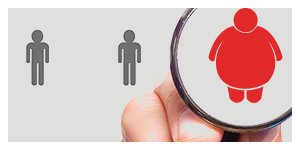 Calculate your body mass index (BMI), by entering the following information.